At Great Oaks Dentistry we are blessed with a dedicated, welcoming staff that is committed to making your experience with us a positive one. Our business office staff is here to help you with everything from scheduling appointments, arranging payments working with your insurance or answering questions. 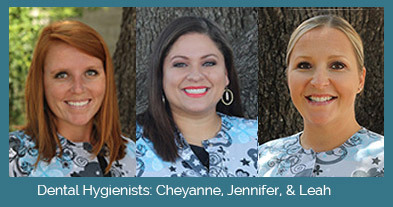 These women have years of experience in the dental field and are sure to help you in a timely and professional manner. 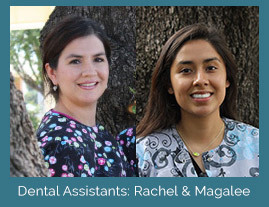 Our dental assistants will be with you throughout your dental appointment as the doctor’s “right hand.” With a combined 43 years of experience, our team of dental assistants are an integral part of our operation. From patient education, taking radiographs, chair side assisting, laboratory procedures, sterilization and instrument care to being a patient advocate, our assistants are invaluable. Your first experience at our office will most likely be as a new patient scheduled with one of our three very experienced dental hygienists. The dental hygienists’ primary role as health care providers lies in patient education. The dental hygienist will conduct a thorough assessment of dental needs, discuss findings, clean your teeth, take radiographs and provide all the information needed to a assist you in making informed decisions about your dental health. 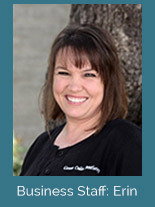 She is a vital part of the dental team as she works closely with the doctor in conducting a thorough evaluation, which allows him to perform a complete diagnosis and formulate an individualized treatment plan appropriate for you, your current condition and your desires or expectations.